McDonald's upgraded coffee blitz — espresso-based coffee drinks, smoothies and frappes — is on track to exceed the company's goals, president of U.S. Operations Don Thompson told the Chicago Tribune. McDonald's kicked off its beverage offensive nationwide this past May, accompanied by a large-scale advertising campaign for the company's "McCafe" drinks. 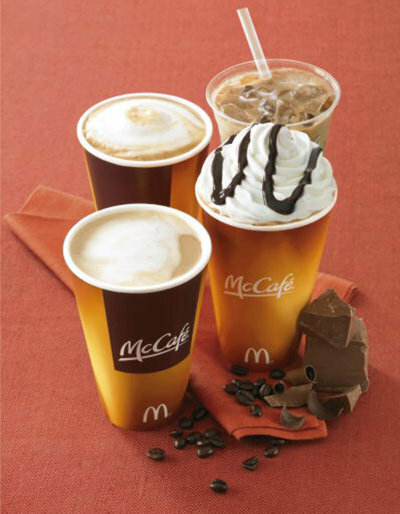 Year-to-date through October, McDonald's U.S. coffee sales are up 28 percent over the same period from 2008, and more than 90 percent of that increased has been attributed to McCafe drinks. McDonald's will continue its beverage offensive, rolling out smoothies and frappes regionally and in test markets, with both drinks widely available nationwide by next summer.